Learn about opportunities for junior high and high school students at Urban Plunge, Interfaith Bridge Building, Augsburg Youth Theology Institute, Interfaith Youth Day of Service and campus visits below. 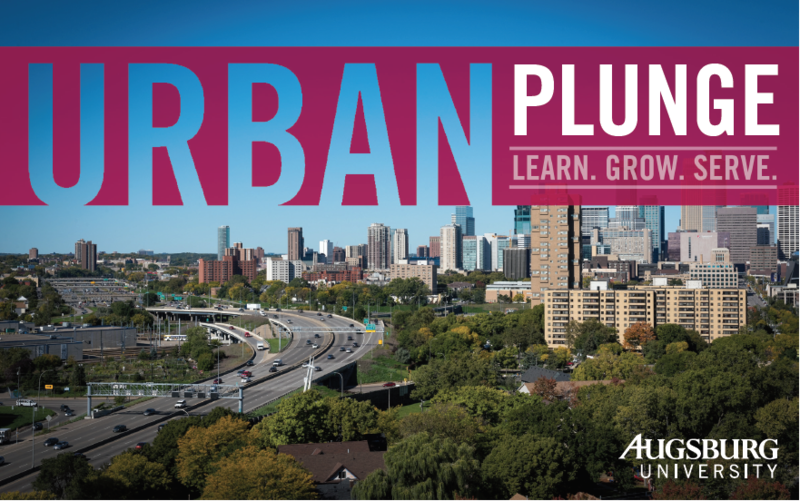 Contact us at (612) 330-1732 or dames@augsburg.edu. 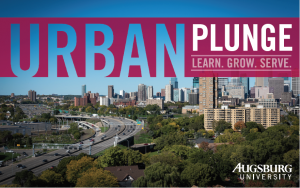 Urban Plunge is an overnight, Augsburg student-led, faith-based experience for Middle and High School youth groups. Come to learn about and explore the gifts and challenges of our Cedar-Riverside neighborhood in Minneapolis by connecting with community members and using “The Sermon on the Mount” as a guiding message. Want to know more? Contact us or download info packet. Come to Augsburg University and our neighborhood and explore how interfaith friendships enrich our lives. What in the cross of Jesus Christ leads us to one another? Experience: Interfaith Service Learning, Sacred texts, Sacred spaces (especially our local mosques), and Interfaith dialogue with religiously diverse college students. Want to know more? Contact us to book a Saturday experience or download info packet. Or watch this video introduction to the program. Young people long to engage their faith with their entire hearts and minds in concentrated, intentional and communal ways. AYTI makes this happen by gathering students who have completed 9th-12th grade for a week of engaging theological questions. 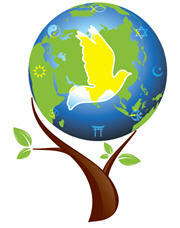 We invite you to join us in this endeavor! AYTI is an intense week of friendship, classroom learning, worship, solitude, contemplation, discernment, and action on Augsburg’s urban campus. We will learn together, pray together, play together, explore the city together, and discern God’s work in our world together. As a program of the Christensen Center for Vocation, AYTI seeks to engage young people in contemplating the theological themes of Bernard M. Christensen’s legacy. 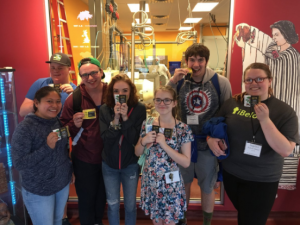 Do you have a youth group at your congregation that you would like to bring to Augsburg University for a tour? Augsburg Admissions has many options available, whether you’d like to come during the week or on a Saturday. Please make your arrangements through Augsburg Admissions by starting on the Visit Campus webpage and scrolling to the appropriate section, i.e. “Summer Visits” or “Group Visits” at the bottom of the page. We’d like to know you are coming, too! Please call Campus Ministry at (612) 330-1732 and let us know how we can interact with your visit.